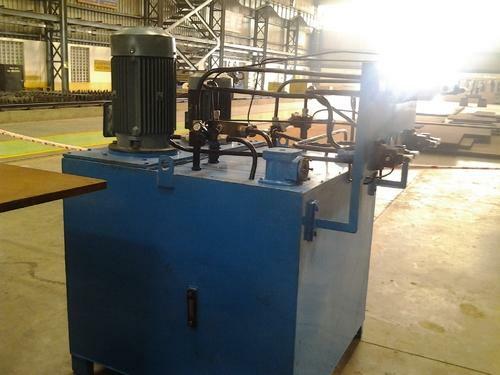 We are leading manufacturer of wide range of Hydraulic Presses and hydraulic power packs to our respected clients. 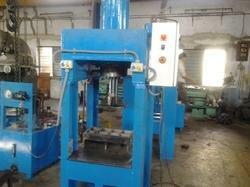 These hydraulic presses are in 2 types’ cold presses and hot pressing. 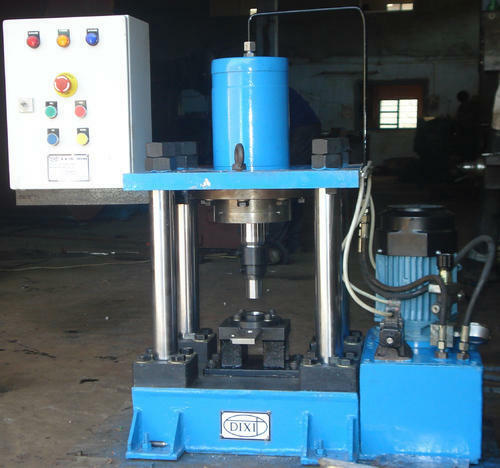 Hydraulic presses are fabricated using superior quality raw material and using latest technologies by industry experts. The unmatched quality and unsurpassable performance in respective applications made these highly demanded in the market and at economical prices. We are engaged in manufacturing reliable, quality Hydraulic Power Packs. Hydraulic Power Pack consists of oil tank, whose base frame carries a vertical or horizontal flange mounted electrical motor couple through a love-joy/ Gear/ Bush-Pin coupling to vane/ Gear or piston pump depend on pressure and capacity. Suction side of pump fitted with suction strainer capable of strainnig particles of micron size while the discharge side of pump is connected to a manifold block directional control valves are mounted. The control valves are suitably interred connected in the manifold block through drill passage to eliminate inter connecting piping. There by achieving compaction, reduce noise level, easy accessibility for maintenance just by removing bolts.We take utmost care in maintaining international quality standards. Backed by our vast knowledge and expertise, we offer Cold Hydraulic Presses. These are fabricated for cold pressing up to 2,000 MT capacities. 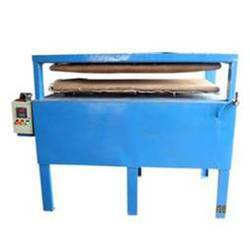 We use top-grade raw materials to manufacture them. Important applications of these Cold Pressing Hydraulic Presses include pre-pinching of M.S. plates up to 90mm thickness, cross-country pipe bending, bending of plates and sections, and dish-end preparations. We offer excellent after-sales service. We present Hard Board Press to our esteemed clients. These are manufactured as per the specifications given and we use premium-grade raw materials under stringent quality norms with cutting-edge technology. 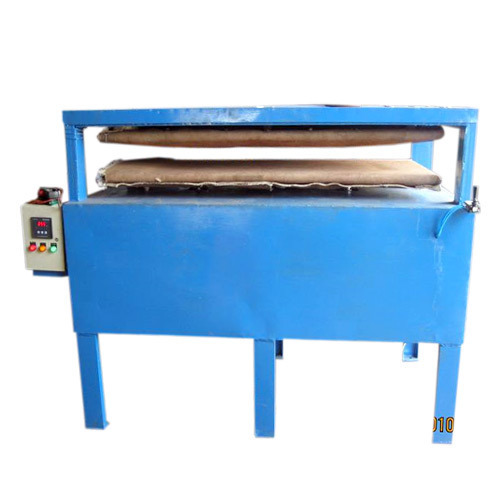 The Hard Board Press is appreciated for its precision output with moving ram and platen that reduces the maintenance costs by improving the functional life of the product. We are pleased to offer an exclusive range of Hot Hydraulic Press. We manufacture these by using electrically-heated or steam-heated platens as per the requirements of the end user. 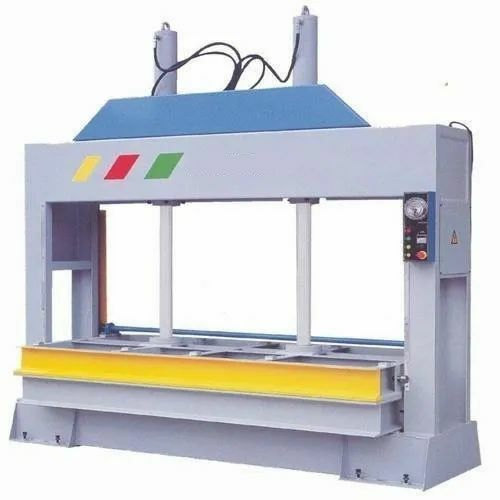 Hot Hydraulic Press is used for double molding, sandwich belt preparation and embossing on leather and fabrics. We have a wide range of sizes and models to choose from at highly competitive rates. We are renowned manufacturers, exporters, and suppliers of Cylinders and Power Packs. Our adept engineers and technicians diligently manufacture these Cylinders and Power Packs using high-grade raw materials under rigid quality control. Our range is in accordance with international standards. We offer industry leading prices and outstanding after sales service to our valued clients. Looking for “Hydraulic Presses and Power Packs”?